Its role is to provide banking facilities for non Korean nationals (such as businesses and aid and relief agencies) working with the DPRK. All transactions are subject to rigorous checks and procedures. Daedong Credit Bank has in place rigorous anti money laundering procedures. These procedures have been disseminated to every member of the bank’s staff via the procedures manual; the procedures are followed, and audited as being followed, for all transactions. Copies of the procedures can be obtained by contacting the bank. Daedong Credit Bank does not support in any way the financing of illegal activities. Daedong Credit Bank has a special position as the oldest foreign-invested JV bank in the DPRK, and provides banking services to all the major foreign-invested JVs; it therefore stands on its solid reputation, and part of this is being the leader in the adoption of internationally accepted best practices in every field. In this regard, and as one of the most creditworthy banks in the DPRK, it is especially important that Daedong Credit Bank is completely open with correspondents and regulators. Daedong Credit bank has, on occasions, detected and impounded the so-called “superdollar” fake notes. The fact that DCB were able to detect fake notes undermines the story perpetrated by the media, and some other organisations, that the notes are undetectable. DCB is a not a state-owned institution. DCB provides banking services for non-state-owned customers carrying out legitimate business. Daedong Credit Bank is happy to provide detailed background information as to the rationale for legitimate financial transactions, in respect of the DPRK, being heavily reliant on the use of cash. The Daedong Credit Bank looks forward to playing a significant part in facilitating normal commercial relationships between the DPRK and the international business community. Daedong Credit Bank is a joint venture retail bank based in Pyongyang. It was established in 1995 as “Peregrine Daesong Development Bank”. The Bank underwent a change of name and foreign ownership in 2000. Daedong Credit Bank is the first, by thirteen years, foreign majority held bank in the DPRK. DCB considers itself a flagship successful joint venture in the DPRK, and a key part of the infrastructure needed to assist the foreign-invested ventures, which drive the country’s economic reforms. The bank’s principal function is to offer normal “high street” banking facilities in hard currency to; foreign companies, joint ventures, international relief agencies and individuals doing legitimate business in the DPRK. 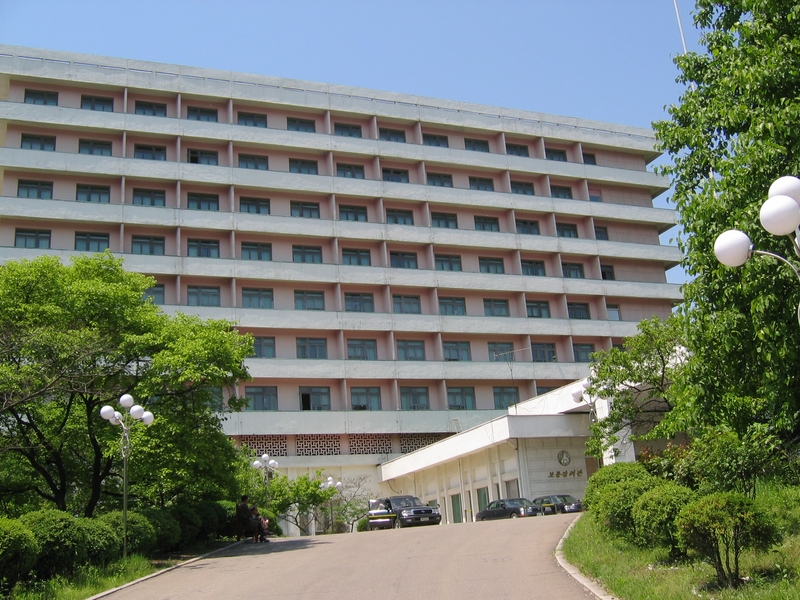 Daedong Credit Bank was the first bank in the DPRK to introduce, and vigorously implement, a comprehensive set of anti-money laundering procedures. DCB’s anti-money laundering procedure manual was introduced three years ago, and subsequently updated based on anti-money laundering guidelines provided by the Asian Development Bank. The manual has been sent to, and accepted by, DCB’s international correspondent banks. Daedong Credit Bank also maintains strict procedures for the detection and rejection of counterfeit bank notes; it uses regularly updated note checking machines, and has personnel with over 13 years’ of experience of handling notes. DCB have encountered and impounded the so-called ‘superdollar’ notes, proving that these notes (despite media misconceptions) are not undetectable. The wealth of experience garnered over Daedong Credit Bank’s 10 years of successful operation is unrivalled.